This entry was posted in Writing and tagged Adaptations, Books, Movies, Television. Bookmark the permalink. Oh my, I’ve seen so few of these movies. I can’t offer a meaning opinion. 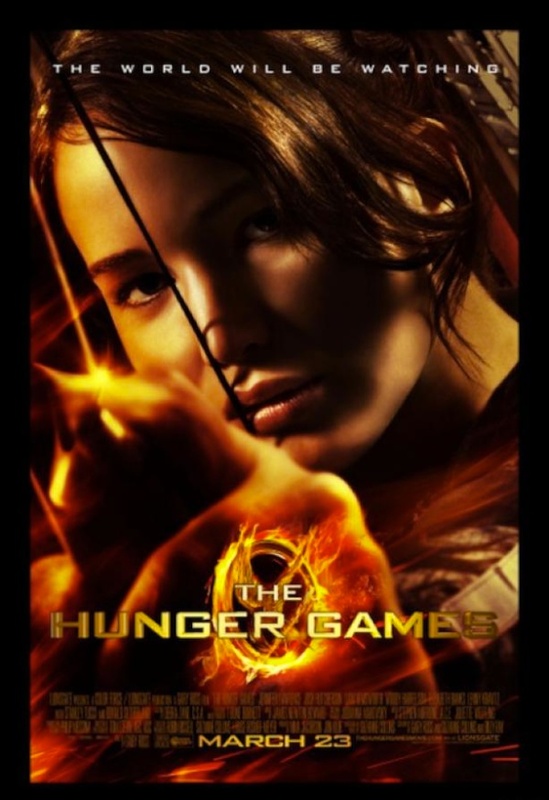 Having said that, I loved The Hunger Games … the books and the movies I’ve seen so far. Problem is I can’t really match movies to books. Quite frankly, I usually avoid movies adapted from books. I read all the Divergent books but haven’t seen any of the movies yet. The one that irks me the most is the Best Exotic Marigold Hotel – it’s a great film, very watchable, but not true to the book at all! I can only assume that the sequel is complete fabrication…? It was agreed during our discussions that usually you’re better off not having read the book before seeing the film. You’re more likely to be forgiving of liberties taken. I completely agree!! When you read a book, you create pictures in your head, you form characters and places etc, as does everyone else, so we all create our own movie in our heads and they will never be the same, even though we are reading the same words. I liked The Hunger games, and LOVED Hugo! Wasn’t Hugo just amazing? A feast for the eyes. I’ll confess I have neither read nor watched The Hunger Games but it’s on my To Do list. I agree with you on The Hobbit: poor films when they could have been very good. 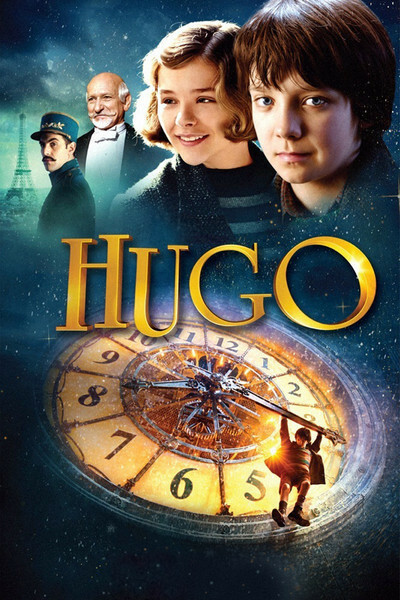 Loved Hugo but haven’t read the book. 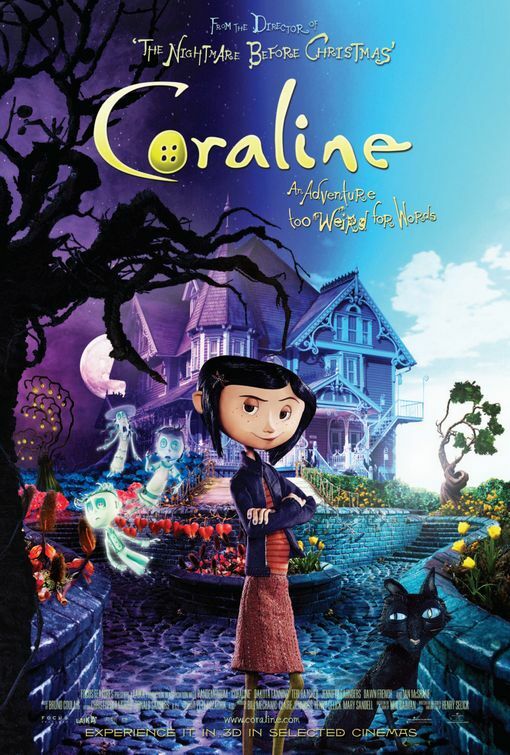 Love the book of Coraline but haven’t seen the movie. Such a missed opportunity, really. Someone needed to tell Peter Jackson “No.” I wouldn’t bother with the movie of Coraline. Not a patch on the book. I was pulled right in when you mentioned Jonathan’s death last week. That was absolutely shattering, wasn’t it? He will always be our lovely Gilbert! I thought Harry Potter was very well done too. 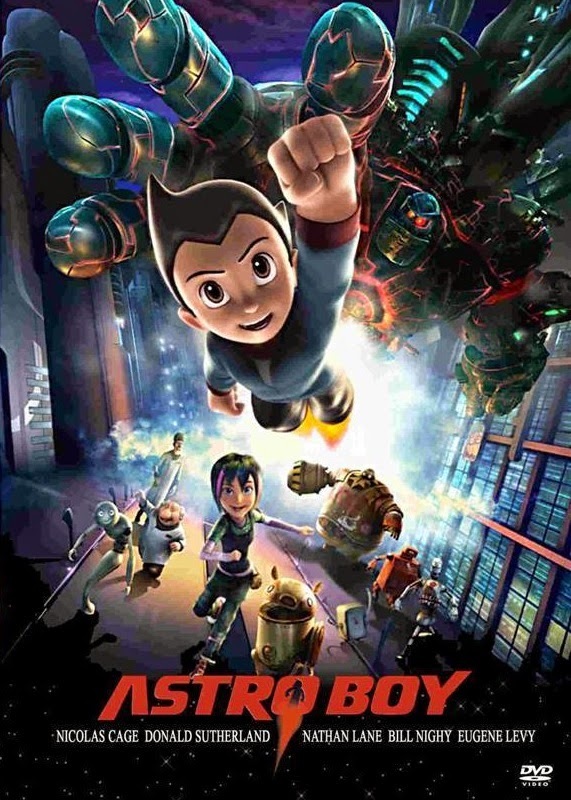 Actually I think alot of the adaptations where the author of the book is very involved in the film seem to be the ones that come across the best, but I’m not an avid movie watcher so no idea if that’s actually true across the board or just for the ones I’ve seen…. I had to sit down and watch the series again. Just made me cry all the more. And I agree, although I think they work best when it’s a collaborative effort between the author and filmmaker and there’s a mutual respect for the other’s work and vision. I’m not sure it’s as successful when the author dictates exactly how the movie is to be made. Haven’t seen any of the above. One that comes to mind, which I thought was good, was The Da Vinci Code. 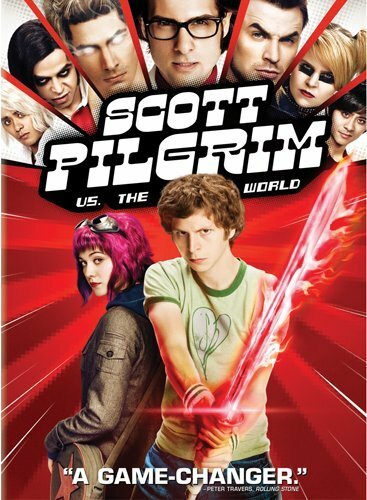 I’d just finished reading the book, when the movie was released, so it was really fresh in my memory. I was not disappointed [which I expected to be]. Yes. It must be difficult to adapt/compress a book to an hour and a half [approx.] movie. I don’t think I have seen or read many of the above.. I remember having seen the Marigold Hotel which I liked, so there you are. Something better than nothing. I liked it too but I don’t think I even realised it was based on a book at the time. 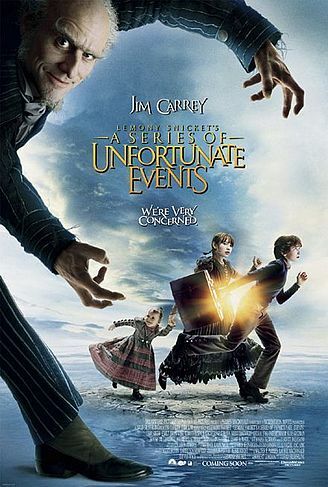 I highly recommend the Lemony Snicket books. They’re an easy read but so wickedly funny. The only “Bad” I saw was Coroline and I loved it, but I never read the book. No, I’m a huge Tolkien nerd but I didn’t see any of the Hobbit movies. 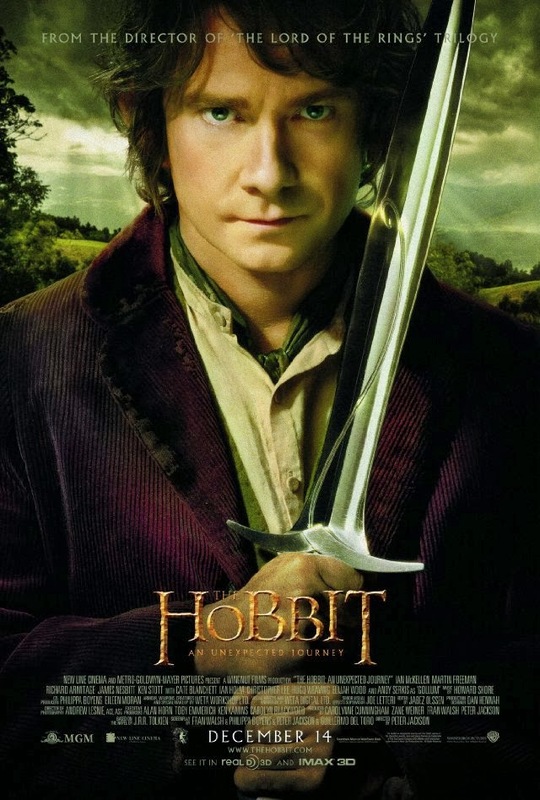 I loved the first LotR movie but thought the others were good movies in their own right but totally cut the heart out of the books in such a terrible way I refused to see the Hobbit. It’s such a shame. As I said, I loved the first movie, was surprised at how close to the feeling it got. And the sets, locations and scenery were great. 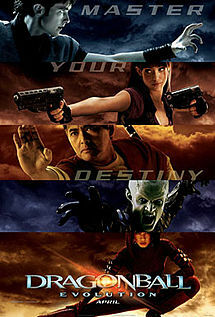 And the other two movies were good as movies, I was just disappoint at how far the ranged in philosophy from the books. I’ve just read that Andrew Lesnie who was the cinematographer for LotR has died. He was only 59. That’s too bad. The cinematography was gorgeous. And 59 is way too young. Great list of reviews, thanks Heather and the Mosy gang! I shall look out for some of these for my grandsons. 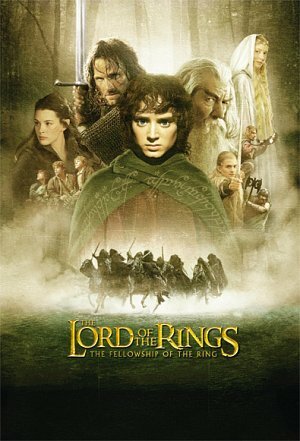 I was put off ‘Lord of the Rings’, as a movie, by the awful violence. In the book it didn’t affect me in the same way. Only watched half of the first movie, and walked out! Didn’t like the animated Hobbit, but if I hadn’t read the book it might have been better. I think you’re right in saying, see the movie first! We enjoyed ‘The Secret Garden’ and ‘A Little Princess’ as movies from Frances Hodgson Burnett’s classic books. I agree about the violence. I found it a bit much too. 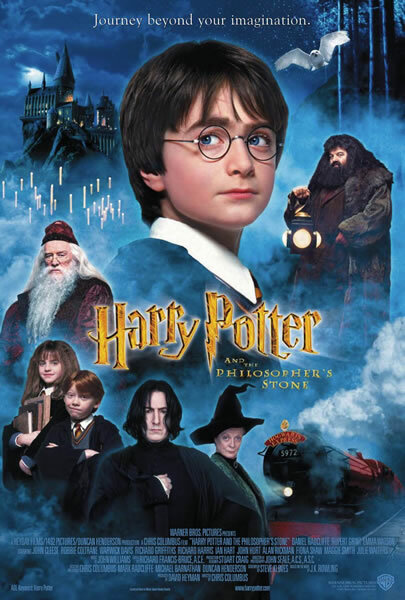 We had a rule that the boys were not permitted to see a Harry Potter movie unless they’d read the book. My theory was that the dark and difficult bits are easier to process while reading than being confronted with it on screen for the first time. Particularly as they got darker as the series progressed. It also meant, particularly for the Youngest Son, by the time they managed to read the book, they were more likely to be at an age to cope with the movie. I don’t mind having bits removed (books are usually so much more complex than movies can be that this is often a necessity); and I don’t mind material being re-arranged to make it more visually appealing or to clarify something which was handled in the book by a character’s inner thoughts, etc. What I really, really hate is when the spirit of the book is lost in translation — and The Hobbit is a classic example of that! Yes, I didn’t bother to mention the other Narnia movies for the reasons you’ve described. I thought they were ‘meh’ at best. Not familiar with One for the Money. I’ve heard of Janet Evanovich but haven’t read any of her books. It’s very dissatisfying when a book or book series is adapted badly. I’ve never been able to watch the adaptations of Terry Pratchett’s books. I’ve read them so often and know the characters so well, I couldn’t bear to watch someone else’s imaginings of them. 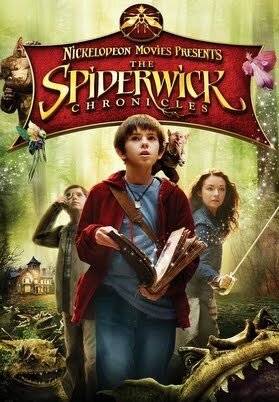 oddly enough, the BBC made a (children’s) TV series of the Narnia books (quite a while ago) and, while they were technically inferior to the movies, they did encapsulate the spirit of the books far better. I remember watching those. In fact I think my mother may have them on VHS! 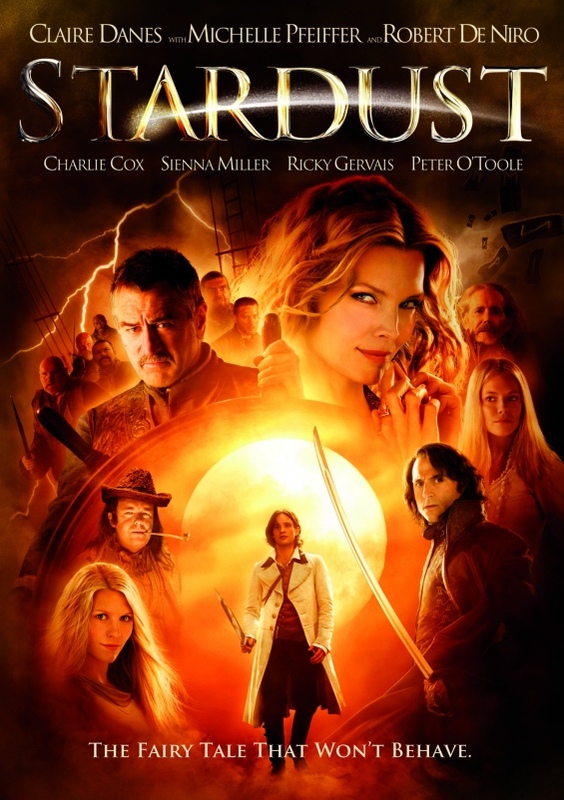 Our girls loved “Hogfather” and “Going Postal” adaptations, as did hubby and I who are both huge Terry Pratchett fans, hubby has read “Stardust” and disagrees with the casting of the movie, I’ve neither read nor seen it so can’t comment. Janet Evanovich’s books are great and the movie didn’t do justice to “One for the Money”, but knowing a number of women who have read them, getting any two to agree on who you would cast for any of the three main leads is challenging esp the two male leads (made worse by the eternal Morelli/Ranger who do you fancy more? conundrum)…. Heavens knows there are as many suggestions to who should be cast for Pratchett novels as there are stars in the sky….. I loved “The Princess Bride” in both it’s forms….as has Miss 11. 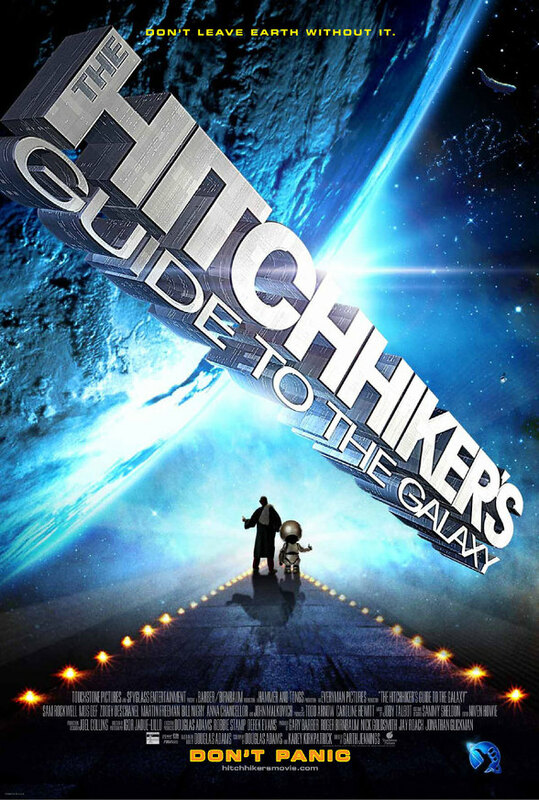 “Dirk Gently” was so wrong it was almost right, in it’s own way and the tv series will always be my visual version of “Hitchhiker’s” although the movie isn’t bad, it’s not the tv show…. 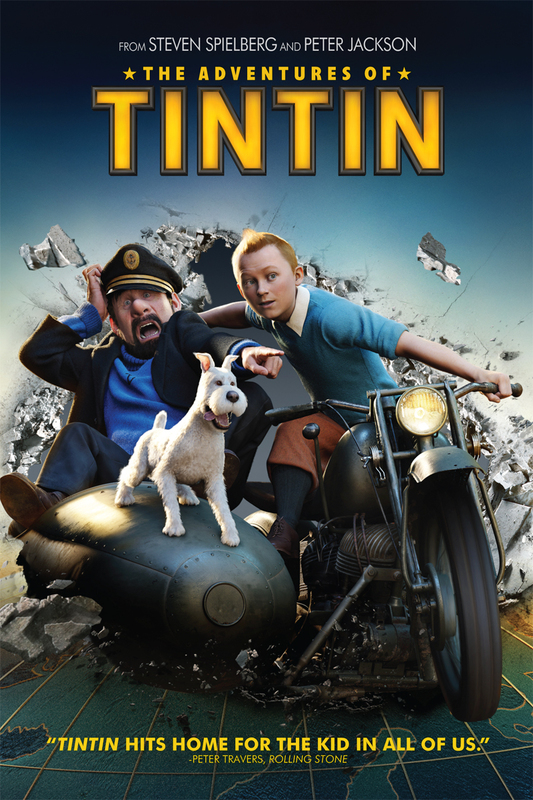 Some love the “Willy Wonker” movie version others the newer Tim Burton “Charlie” version of Roald Dahl classic. Having read a couple of the “Oz” books after seeing the movie, the slippers were silver, there was much darker content in the books left out of film…. Yes, the Willy Wonka vs Charlie and the Chocolate Factory debate came very early in the discussion because WW was actually on the television that evening. I did try to watch a Terry Pratchett adaptation. Made it through half of Going Postal. It was okay but I didn’t bother to watch the second half. Can’t watch The Colour of Magic. David Jason as Rincewind?? Really??? Everybody knows Rincewind is thin and weedy with a pathetic wisp of a beard. David Jason was none of those. A shock to the system, because one forms one’s own images of such intimate characters and the film cannot match these, but it is really very faithful to the book, and a beautiful film. 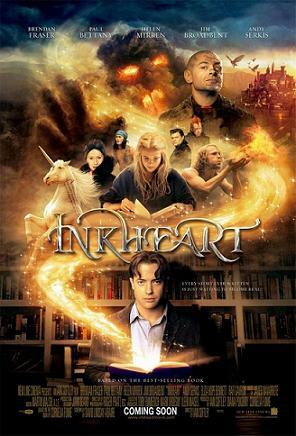 Love the series, think the film did a good job of being faithful to the solemn respectful spirit of the book. Who CARES if it’s anything like the book?! Run and see this movie! And the sequel. So cute. Cute, cute, cute, cute. Vroom-vroom! All the books by Vera and Bill Cleaver, the couple who wrote “Lilies”, are special, and they can be quite hard to find now. It’s as if they began disappearing because the name was too close to “Cleary” (as in Beverly) in terms of bookshop shelf space. Really a shame. Oh: And I agreed with your children. Great job! Thanks, OB. 🙂 They’re pretty good, aren’t they? Not that I’m biased or anything. They loved this discussion. They kept saying, “This is so great.” And I think they would have kept going for quite some time if I hadn’t drawn the line after five pages of notes! I NEVER watch anything on the screen of a book I have loved. Never. Not ever. This is because, coincidentally, it’s the same number of times that I have enjoyed something on screen made of a book I have loved. If I haven’t enjoyed a book (we’re talking of when I used to read, of course), there’d be no point watching an on-screen version, right ? I honestly have no idea why producers are incapable of finding writers who can be faithful to a story – but they can’t, the useless bastards. 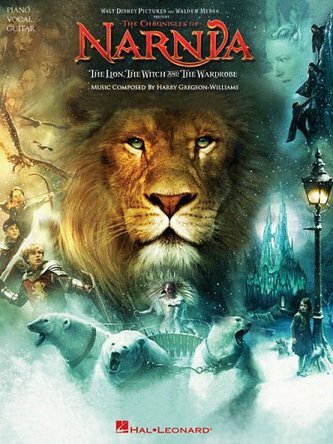 So while I’ve loved “The Lion, the witch and the wardrobe” (and all the Narnia series), I haven’t watched it. I did once start to watch “The Fellowship of the Ring” and wa screaming in rage within 10 minutes, so stopped. I never watched any of the Harry Potter movies because I simply loved Stephen Fry’s reading of them as audiobooks. I think your offspring are wonderful. I also think the same of you. I think, for me, it depends on how vividly I have imagined the characters as to how able I am to accept the film. After 40 novels, I’ve got some pretty set ideas as to how Terry Pratchett’s characters look and sound and so I just can’t bring myself to watch the adaptations. I forgot him: I did watch one that I hugely enjoyed – but I hadn’t read the book ! I ain’t seen it ! – where …? Seriously? Right there. [points downwards] Right under this comment. Where in heck are you looking? Wow, Heather, would it surprise you to know that I have not seen a single one of the movies your family reviewed? I am so out of it. Favorite book to movie adaptation for me would be “To Kill A Mockingbird.” I loathed the book “The Help” which was made into a surprisingly good movie. That might be the only time I’ve preferred a movie to the book. Oh yes, +1 on To Kill A Mockingbird. Like a lot of people To Kill a Mockingbird is favourite book-to-screen adaptation. I actually held of watching it for a long time for fear of disappointment, but it was wonderful to see Atticus Finch brought to life by Gregory Peck, the children were great too. My pick of many bad adaptations would be On the Road. I feared the worst and it was as bad as I expected. To Kill A Mockingbird is just one of those classics, isn’t it? In both the book and the film version. I’m grateful it hasn’t been caught in the “remake” trend that seems to dominate movie-making these days. Hopefully filmmakers are thinking they’d never be able to cast someone to top Gregory Peck’s portrayal. I think it’s always risky to film a book that is so iconic like TKAM and On The Road. Sometimes they get it right, sometimes they don’t, I guess. Our older daughter, now a theatre director, must have watched all those episodes of Anne of Green Gables hundreds of times. I loved them too. We still have the videos of them! I’m afraid the only other one of the right vintage for us was the Narnia series. This involved the same daughter writing to the BBC and offering to be in the cast … they asked her to send her (non-existent) audition tapes. 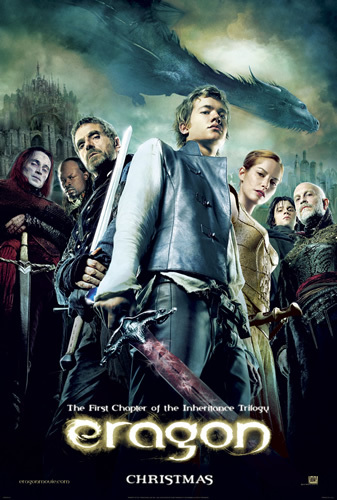 Later is was the film of Middlemarch that appealed most. I still watch Anne of Green Gables at least once a year. I had to order the DVDs from the USA when I went hunting for them (my “recorded off the tv” video cassettes having got a bit worn out) but I think it’s now available in the shops here. I think it’s one of those ones that will endure for a long time.